Moderated by Ellen Harde, former Westford Town Moderator. 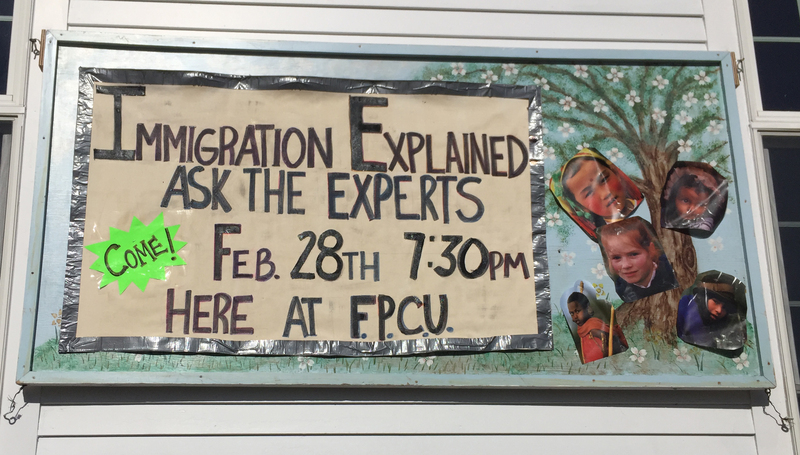 Speakers will discuss current immigration issues, give accounts of the personal circumstances of recent immigrants and their families, describe existing uncertainties in the law and suggest opportunities for public action. A question and answer period and discussion with the audience will follow. This event is sponsored by the Action for Social Justice group at First Parish Church United, Indivisible Westford and the League of Women Voters of Westford.